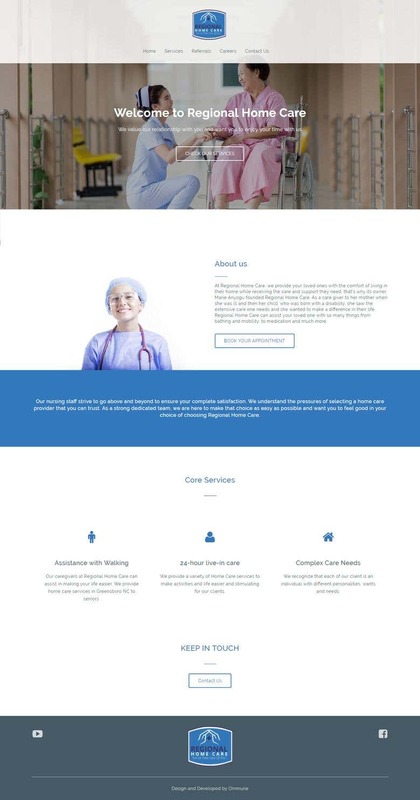 Developed home care services website in WordPress CMS. 100% responsive. Welcome to Ommune! Top Rank freelancer here , Trending Author at Codecanyon (Envato), WordPress dot org theme Developers. We are the leaders in developing innovative web solutions on a range of platforms including but not limited to WordPress, CodeIgniter, Magento, Shopify etc. At Ommune, we make the whole process simple by taking care of all of the technicalities and we won't accept anything but the best from our team of over 15 dedicated folks. The quality of our work speaks for itself and the fact that our company has grown exponentially since it's formation in October 2010 is testimony to our work ethic. Perhaps an even better testimony of our commitment towards superior customer service and quality of work is our universal ranking. When you deal with us, you're dealing with staff who are available around the clock and communicate fluently in English - this means no frustrating language issues. If you're looking for the best web developers and look no further than Ommune!